If you’re here, it must mean you want to know more about me. There’s not much to tell. I like Star Wars, Lord of the Rings, the Godfather, the West Wing, Citizen Kane, BBC World, MSNBC, Tottenham Hotspur Football Club and American history. I also like politics and sports. Traveling is cool, too. I’m a dad and a husband. I like to read and play the occasional video game. I’m a baseball Hall of Fame voter. My work has appeared in the Tampa Tribune, the St. Petersburg Times, Parenting Magazine, the University of South Florida Alumni Voice magazine, CBSsports.com, ESPN.com, and many other print and online publications. 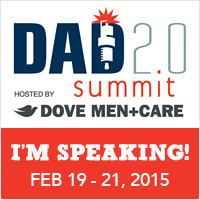 I was stunned and honored to be named one of five Spotlight Bloggers for the Dad 2.0 Summit blogger conference less than a year after I launched this site. I was humbled and honored again to be invited to speak at the third annual version of that great social media conference in New Orleans, and spoke once more at the fourth annual Dad 2.0 in San Francisco. I also spoke in 2014 at the Type-A Parents Conference in Atlanta. There, I was part of a panel of distinguished fellow fathers who spoke about the evolution of the community of dads who share their stories online. I was honored to be named a finalist for the Type-A Parents We Still Blog Awards. Around that time, fellow writer and father Whit Honea and I co-founded Dads4Change, an organization dedicated to shining a light on the good work being done by dads and their families on behalf of the causes they love. 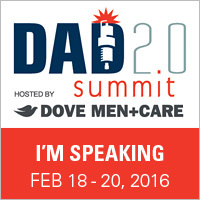 Dads 4 Change launched in September 2014 and was nominated for a Mom 2.0 Summit Iris Award in the philanthropy category in spring 2015. Through D4C, Whit and I are honored to work with St. Jude Children’s Research Hospital as digital ambassadors. Here’s a look at my online portfolio, courtesy of Contently. I also wrote briefly for the coolest group dad blog on Earth, DadCentric, before it rode off into the social sunset. I was one of three Tampa Bay area parent bloggers to be profiled in this piece for local online magazine 83 Degrees. 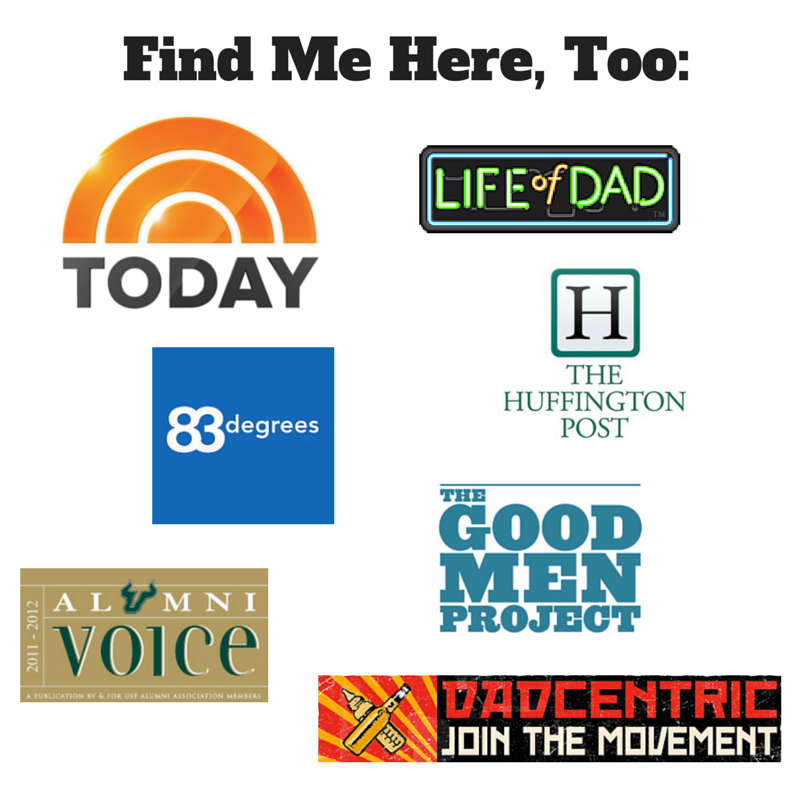 My work can also be found at the Good Men Project, Huffington Post, Life of Dad and MamaLode, and has appeared in the Australian online publication, iVillage. Also, Tampa Bay Magazine included me on its annual list of Super Dads, which ran in the June 2014 issue (Q&A and photo on page 46). This site is a personal journal, primarily, but I have worked with companies and organizations to showcase their products and/or services. I also am a member of the administrative board for Tampa Bay Bloggers. I am on Twitter and Facebook, so look for me there under the earlier incarnation of this website: DadScribe. I am available to speak at social media and blogging conferences, as well as for freelance writing and/or editing assignments covering a broad range of subjects. Good to see a person I shared a press box with once upon a time. I covered the Angels for four years (2005-08) and got out of the biz and am glad I did because I can spend more time with my kid and more time writing about my misfortunes as a first time dad. Glad you found me. Don’t be a stranger! I often fantasize about riding horseback while interviewing the Kentucky Derby or Belmont Stakes winners – the jockeys not the horses, though I’m sure the horses have plenty to say. You are quite the accomplished writer and I look forward to reading your blog. Besides learning more about your interesting life, I hope to glean ways on improving my writing skills.